Enjoy the sound of music as you should with this great audio enhancer. 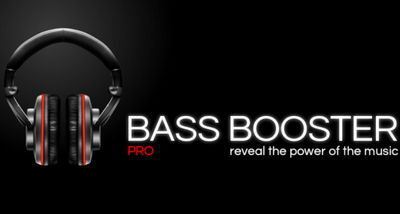 Bass Booster Pro (full version) will greatly improve sound quality of any song using manual advanced settings or automatic presets. Download now and change the way your Android sounds! - 20 built-in presets: More Basses, Improve quality, Electro, Techno, volume boost , plus many more. 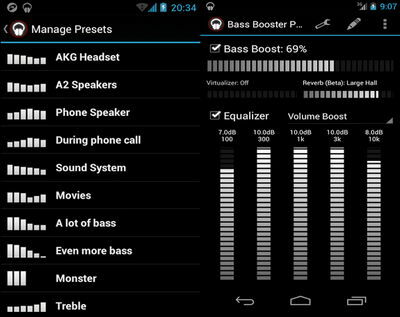 Compatibility Mode : A new settings that allow Bass Booster to work on all Android devices with Google Play Music and Spotify.